Lymphography is an established procedure in the diagnosis of malignant disease. Major scientific meetings, numerous publications and several post- graduate courses on this subject have been presented during the past ten years. However, perusal of the literature will convince any critical reader of the need for a comprehensive presentation of lymphography in cancer. Funda- mental knowledge of the anatomy and physiology of the lymphatic system, pharmacology of the contrast media, possible complications and in particular understanding of the clinical behaviour of malignant tumors place high demands on the physician. For this reason the personal experience of five authors and the most important data published in the literature have been compiled in this volume. It should give the reader up to date information on the indications for clinical lymphography and its interpretation, thereby de- monstrating the limits of its diagnostic accuracy and stressing the great impor- tance of the method for the evaluation of cancer patients. 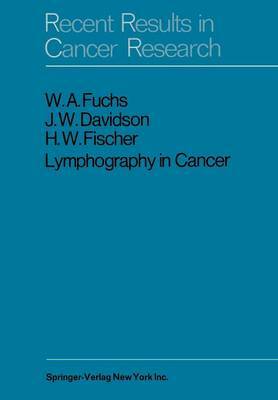 It has been a fortunate circumstance to draw on the experience of four distinguished contributors whose cooperation has enabled this attempt at a thorough coverage of clinical lymphography in cancer.